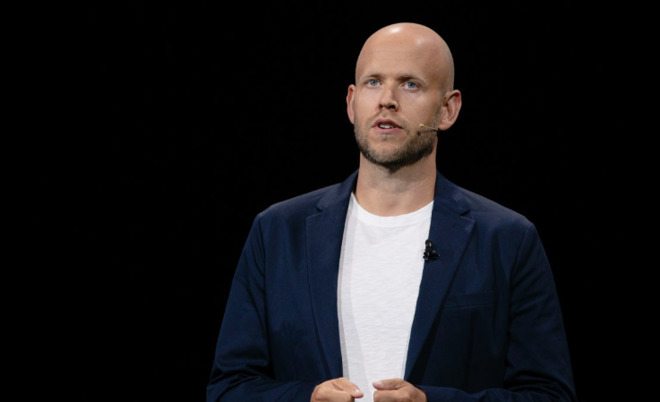 Advised in a blog post by Spotify founder and CEO Daniel Ek, the streaming service anticipates its next phase of growth in audio will be in podcasting. In just under two years, Ek claims Spotify has become the second-largest podcasting platform, but it wants to take first place. To do so, Spotify is buying two companies that have made an impact in the podcasting industry. The first, Gimlet, is a major content creator seeing success with its podcasts, such as "Homecoming" adapted from podcast to video for Amazon Prime, along with the internet culture-based "Reply All." The other company, Anchor, produces podcast creation and distribution tools, including apps for the iPhone and iPad. According to Ek, Anchor has helped in the production of 15 billion hours of content listening on Spotify during the fourth quarter. Though terms of each acquisition were not revealed, Ek believes, "These companies are best-in-class and together we will offer differentiated and original content. Gimlet and Anchor will position us to become the leading platform for podcast creators around the world and the leading producer of podcasts." Citing radio industry data, Spotify believes it is a "safe assumption" that 20 percent of all listening on the service will be non-music, and has the potential to grow at a faster rate with more original programming. "Just as we've done with music, our work in podcasting will focus intensively on the curation and customization that users have come to expect from Spotify," states Ek. "We will offer better discovery, data, and monetization to creators." The announcement arrives at the same time as Spotify revealed its fourth-quarter earnings for 2018. During the period, it saw revenue of 1.49 billion euro ($ billion), with a gross margin of 26.7 percent. The total user count is claimed to be 207 million across all tiers of service, 96 million being paid subscribers, with each increasing year-on-year by 29 percent and 36 percent respectively. The 96 million paid subscribers puts Spotify at almost double the user count of Apple Music, which was revealed during Apple's quarterly conference call to have 50 million subscribers.